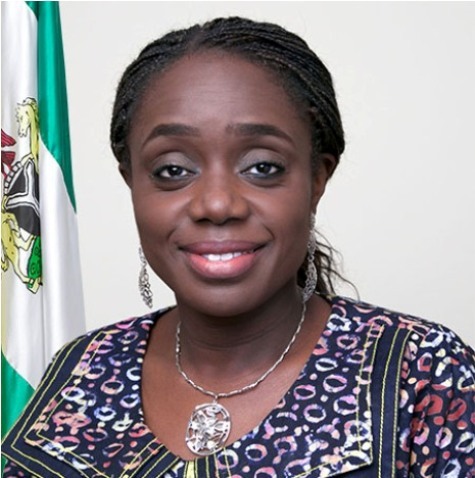 LAGOS MARCH 9TH (NEWSRANGERS)-The annual visit of the International Monetary Fund (IMF) staff to Nigeria to collect economic and financial information and discuss with government officials on the economy and policy direction of the country ended earlier this week. After a year of recovery from recession, the macroeconomic growth of the country is looking up based on IMF’s assessments but it is also beginning to trickle down in form of lower prices of goods and employment opportunities for Nigerians. On Wednesday, the IMF published an assessment of the Nigerian economy based on the just concluded visit and discussion in the country. The Article IV consultation, which enables the IMF to have bilateral discussions with members every year, gave a two-sided appraisal on the economic recovery plan of the government. The discussion on Nigeria’s economic developments and policies uncovered the areas of improvements and some genuine concerns about the vulnerable state of the economy. On one side, the assessment aligned with the figures of the National Bureau of Statistics that showed the country is gradually recovering from the bleak year of 2016 when the country slipped into the worst recession experienced in about 29 years. “Economic growth reached 0.8 percent in 2017 driven mainly by recovering oil production. Inflation declined to 15.4 percent year-on-year by end-December, from 18.5 percent at end-2016,” according to the IMF report. The IMF also pegs the economic growth for 2018 at 2.1 percent. The unemployment rate in Nigeria has continued to increase and it reached 18.80 percent in the third quarter of 2017 from 16.20 percent in the second quarter of 2017, according to Trading Economics. The initiatives of the government to create jobs and reduce poverty have largely been ineffective, notably the N-power programme. Higher oil prices on the international market might be generating more revenue for the country and boosting external reserves but since the country imports majority of the fuel it consumes, Nigerians have had to suffer the consequences of inflated fuel prices in the local market. This will continue to keep the inflation rates high and constrain more people under the poverty line. The Gross Domestic Product (GDP) is definitely improving and the reserve is growing but metrics that directly affect people’s lives are far from positive. Consequently, as expressed in the solutions of the Executive Directors of IMF, a “growth friendly fiscal adjustment” is needed to ensure people-centred growth.